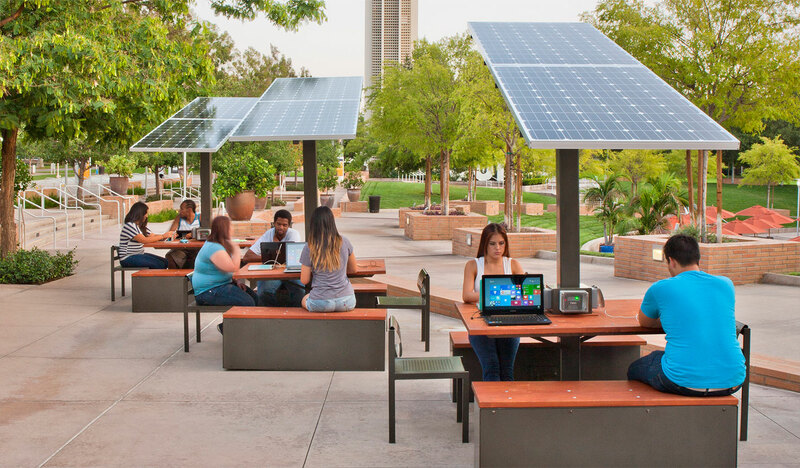 UC Riverside is committed to achieve Carbon Neutrality by 2025, using a combination of infrastructure solutions and operational strategies to get there. The Cool Campus Challenge is a friendly 4-week challenge designed to educate and motivate the University of California campus community to take simple energy-saving, waste reducing and sustainability-focused actions to lower their carbon footprint and help the UC system reach carbon neutrality by 2025. Sign up & start reducing emissions today. To achieve carbon neutrality by 2025, we need to expand our energy efficiency efforts and dramatically increase the use of energy from renewable sources. Along with our efforts, needed items include numerous LED lighting conversions, HVAC upgrades, and research equipment replacements to improve energy efficiencies and reduce energy consumption. In the past, UCR has added over 3.5 MW of solar, and plans to expand to over 13 MW (megawatts). The solar - coupled with thermal energy storage and battery storage - will significantly help in the cost of the campus' electric load. • Scope 3 – Indirect Emissions (other): Other indirect emissions generated by institution‐related activities (business air travel, student commute, faculty/staff commute). Stay updated with our Instagram!